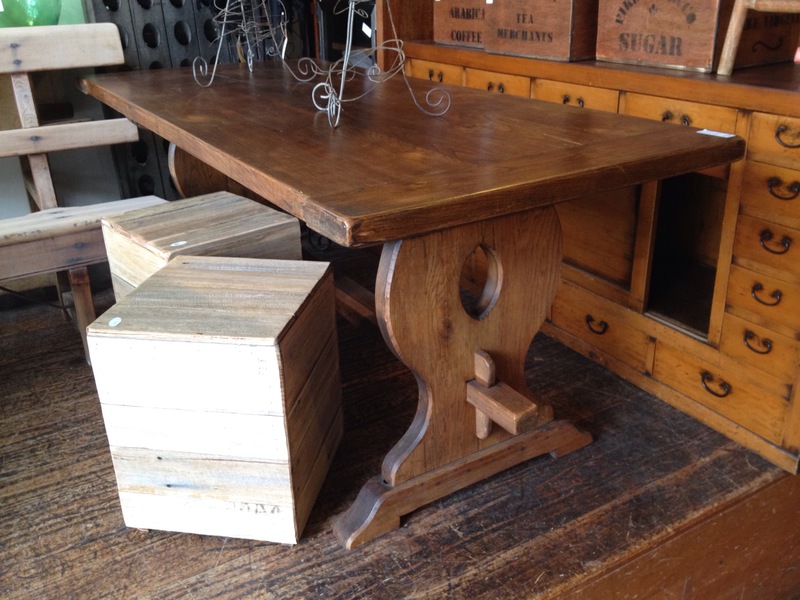 An oak table with mortise and tenon joints. 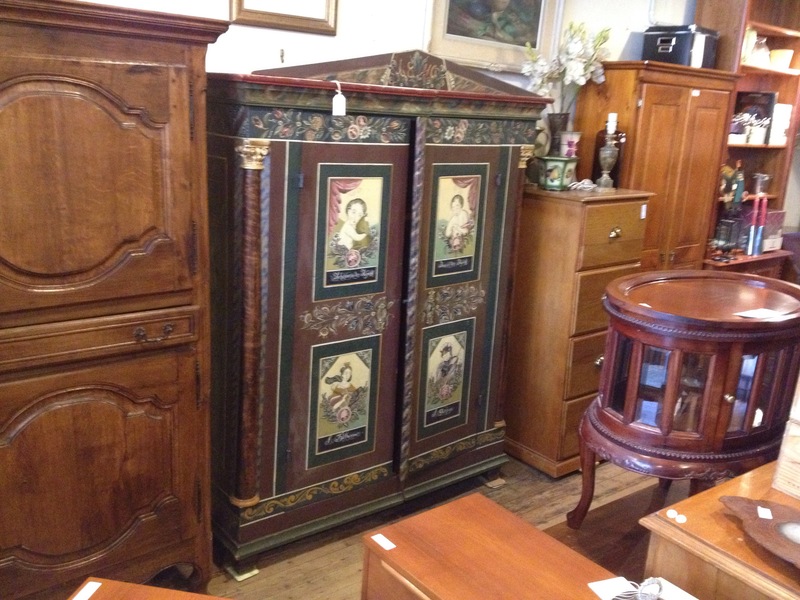 Made in France in the early 1900’s in the medieval style. $1685. 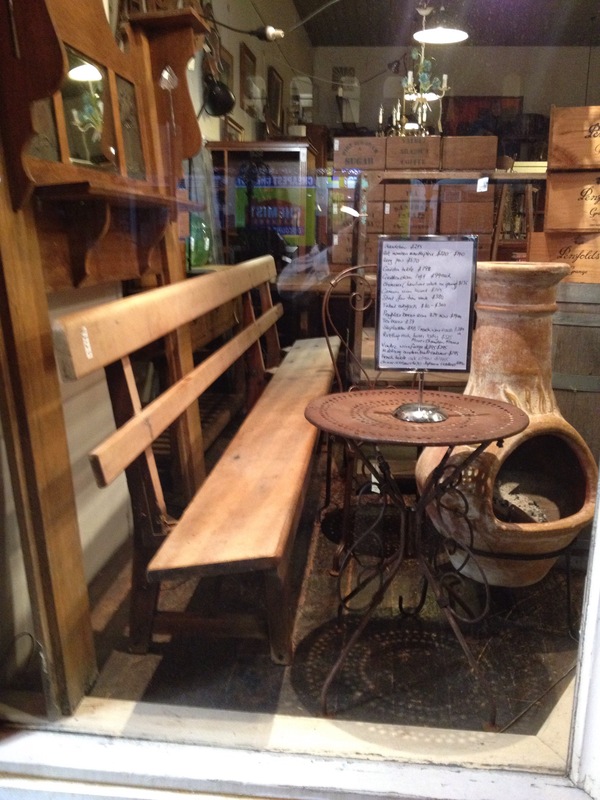 Two wooden stools or forms of recent manufacture, $89 ea and on the table two wire candlesticks, 1990 $59 each. 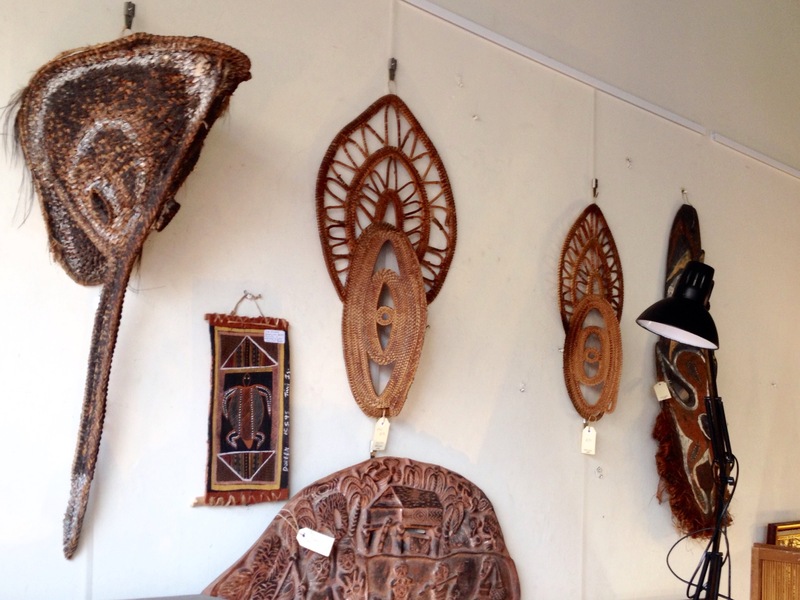 A collection of tribal items assembled during a period in PNG over 45 years ago. Plus one Australian bark painting. What follows is some slightly vague description due to lack of familiarity with these items. 2/ Australian Aboriginal bark painting 37 cms $50. 3/ Two woven cane masks, the larger 75 cms. PNG. $79 ea. 5/ A painted mask from PNG, straw beard $195. 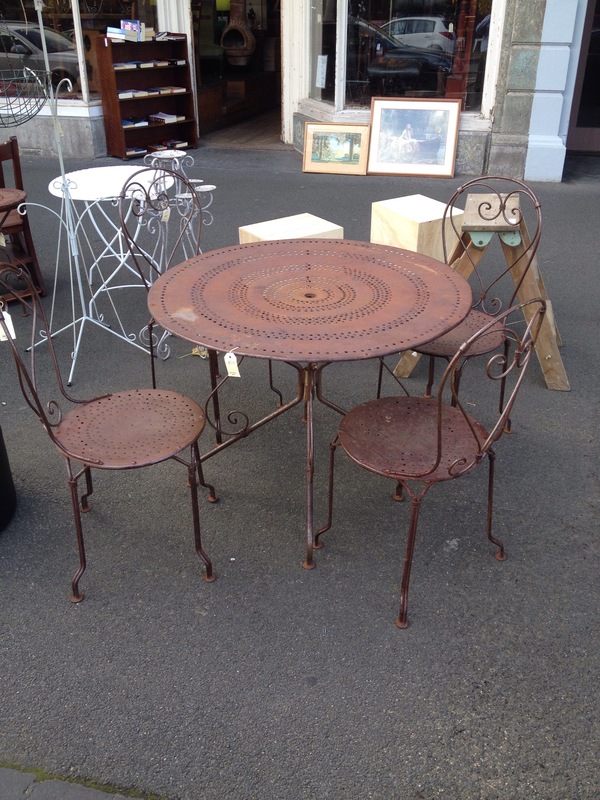 A decorative garden table from the 1950’s $390, and four matching wire chairs $99 each. I really have trouble dating these. 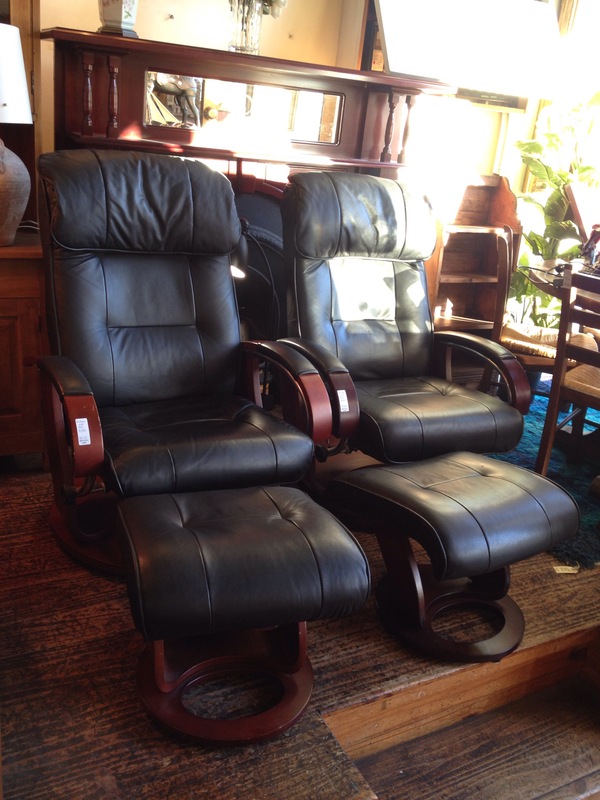 Often described as French, I suspect they are at least made elsewhere. Any info would be appreciated. I can always be contacted in Melbourne Australia on 03 9690 5557. 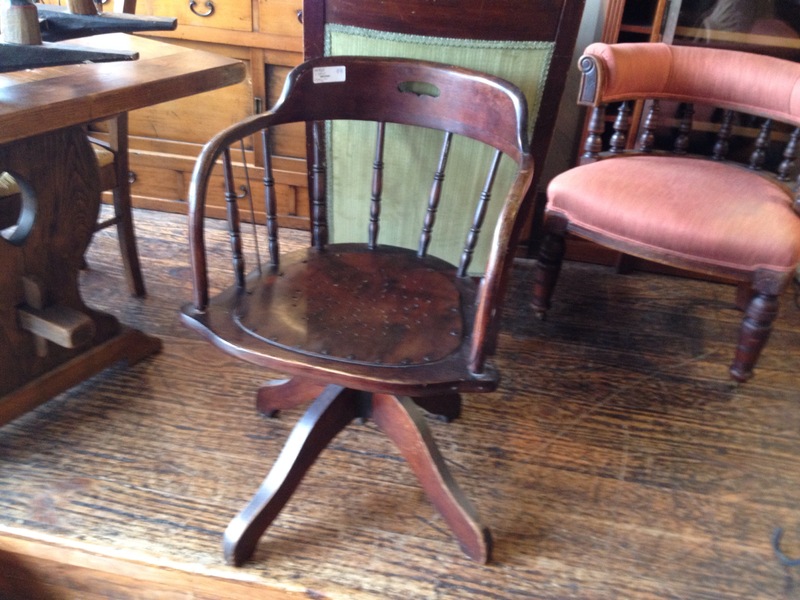 A late 19th century office captains chair with swivel and tilt function. 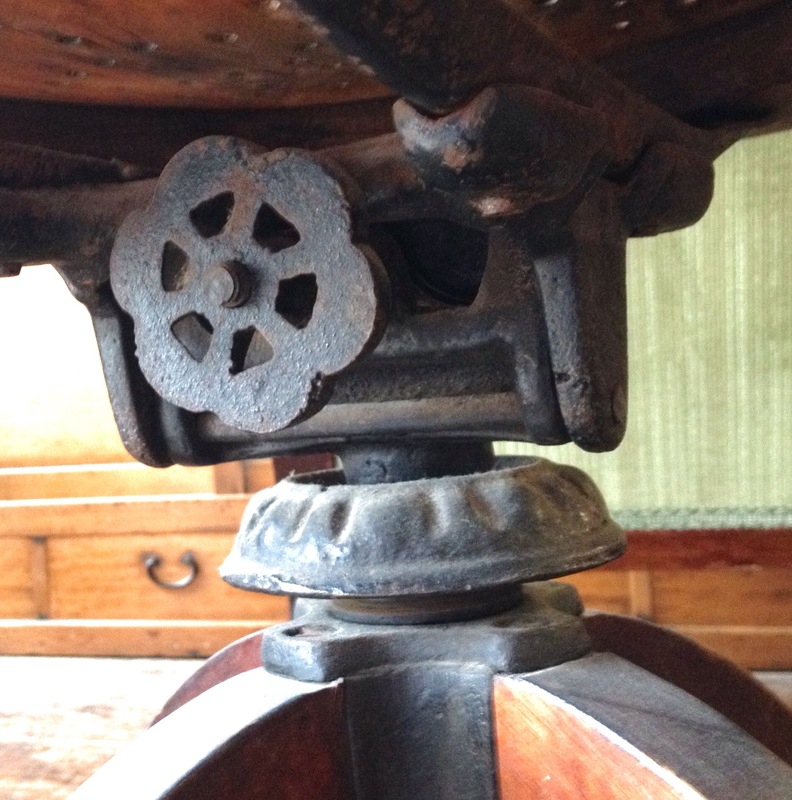 We have even taken an additional shot of the mechanism it looks so interesting.$98.